With many music concerts being free, and the same for conferences and exhibitions, the ticketing landscape has only recently seen interest from startups and tech firms. But in a short period of time, they have managed to make some big changes. The arrival of Last2ticket in in early 2017 was the shock to the system that Cambodia needed. Their paperless ticketing and online payment was supported by event management services and a vision of how ticketing in the Kingdom could develop. As Pauline Coupez, Last2Ticket Asia’s Sales and Marketing Manager PR and Sales coordinator, explained to Geeks, their platform has added convenience for both customers and event organisers. 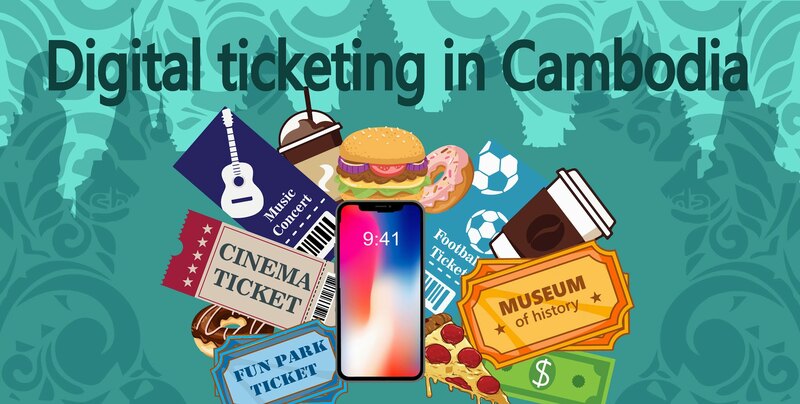 In addition to event ticketing, Last2ticket is expanding into permanent ticketing, such as museums and regular cultural events, which currently lack online-booking solutions. Pi Pay, the cashless payment powerhouse, has recently sought to bring its ‘cashless convenience’ model to ticketing, including permanent ticketing. In addition to providing cashless payment solutions for events and ticketing — it is a payment option for Last2ticket — Pi Pay sells tickets directly through its own app. Initially rolling out with Fun Square and Water Garden, both at Aeon Mall Sen Sok, they plan for more on the way, according to Pi Pay CEO Tomas Pokorny. “We see great potential in offering ticketing solutions to our ever growing number of users; with our offices overlooking the Olympic Stadium it would be great if we could make the process of buying football tickets easier for example. As Pi Pay continues to grow Cambodia’s cashless ecosystem, we see cashless payments conveniently helping more people attend leisure attractions, cultural events, and music concerts,” he told Geeks. With the SHE Investments conference coming up, and Original Sessions music series taking off, Pi Pay is counting on people’s Smartphones providing a simple solution to existing ticketing challenges in the country. And they are not the only ones. Cambodia’s ever-growing startup and entrepreneur scene is also looking at ways to utilise technology to ease how customers and providers interact. A great example is GoSoccer, the winner of Smart’s inaugural SmartStart Young Innovator Programme. They offer a way for football teams to book pitches, and for sports facilities to advertise availability, all via their app. In a slightly different area, Bookmebus and Camboticket both offer online ticketing for transport options within Cambodia and to neighbouring Vietnam, Thailand and Laos. For Last2ticket’s Pauline Coupez, the growth of Cambodia’s technology and digital payments landscape will further develop the ticketing sector. With such energy and vision spent on seeking ways to make the best use of technology to make people’s lives easier, more convenience and more efficient, it is exciting to think of what further solutions will be presented in Cambodia. And of course, Geeks in Cambodia will be here to tell you all about it!